The Anglo-Aro war was a conflict between the British Empire and the Aro Confederacy. As a result of this war, the Aro Confederacy was destroyed. The Russo-Japanese war, fought by The Russian Empire and The Japanese Empire, was known as 'the first great war of the 20th century'. The Italian-Turkish war was fought between the Ottoman Empire and the Kingdom of Italy. The Italian-Turkish War played a small part in the start of World War 1 because it started nationalism in the Balkan states. The Ottoman Empire fought against the Balkan League in the First Balkan War. The Balkan states won the battle and as a result the Ottoman Empire was captured and the countries were shared out among the allies. Bulgaria (part of the Balkan League) was unhappy with how the countries were divided, which lead to the start of The Second Balkan War. With Bulgaria unhappy with how the countries were divided up after the First Balkan War, they decided they would start another war to rule more countries. In the end, however, Bulgaria was defeated and lost a lot of the countries they gained in from the First Balkan War. A bomb was thrown at Franz Ferdinand (the heir to the Austrian-Hungarian throne) on June 28th 1914. Later that day he was shot by the Siberian society, the Black Hand. This was the trigger point that lead to the start of WW1. 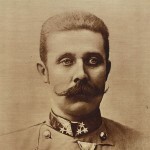 As a result of the assassination of Franz Ferdinand, Austria-Hungary declared war on Serbia. Everyone believed the war would be over before Christmas. World War 1, also known as the great war, took place over 4 years. It was a world wide war that killed many people. There were three main causes of this war: the assassination of Franz Ferdinand, the ism's (mainly nationalism and militarism) and the alliance system. Germany had been allies with Austria-Hingary since 1971. So, when Austria-Hungary declared war on Serbia, Germany was forced to go to the war and help out. The Battle of Tannenberg was fought between the Russian Empire and Germany. Germany were victorious. The Battle of the Marne was fought near the Marne River in Paris, won by the allies. About 300,000 soldiers died during the battle. Planes were only 15 year old before the start of WW1. At the beginning of the war, aircraft was used to spy on the enemy and to see where their soldiers and weapons were stationed. Later on however, machines guns were invented and mounted onto planes, allowing aircraft to act as a new weapon. Germany were the first people to use poisonous gases in WW1. The Battle of Gallipoli was fought in Turkey, were the central powers took control and won the battle. Turkey had a great advantage during this battle because they were based higher up than Australia and had 4 weeks to prepare for the ANZAC's landing. However, Australia had the element of surprise because the ANZAC's landed on the wrong beach, 2 kilometres north of where the Turks expected them to land. About 16,000 ANZAC troops were involved in the 1st Gallipoli assault and 2000 were killed or wounded on the 1st day of fighting. Battle of Verdun was a major battle during WW1 that took place on the Western Front. It was one of the longest battles and one of the most devastating. About 100,000 soldiers who fought in the Battle of Verdum were killed or went missing. Tanks were first used in the Battle of Flers-Courcelette and shortly after, used in the battle of the Somme. The Battle of the Somme is famously known for the death of about 60,000 british troops on the first day of the battle, being the worst day of British warfare. Overall, there were about 600,000 british casualties throughout the battle. The Battle of the Somme was fought along 130 kilometres of the Western front. The Battle of Fromelles was a battle fought in France by Germany and Australia/Great Britain. The Battle of Fromelles was meant to side-track the Germans and bring more German soldier from the Battle of the Somme. This was because The Battle of the Somme had reached a stale mate. The Battle of Fromelles went for only 24 hours and about 7000 Australian and British soldiers were killed, making it the worst 24-hours in Australia's history. America wanted nothing to do with WW1 but finally joined in towards the end of the war. The Treaty of Versailles was signed by Germany. It was a peace treaty signed after WW1.